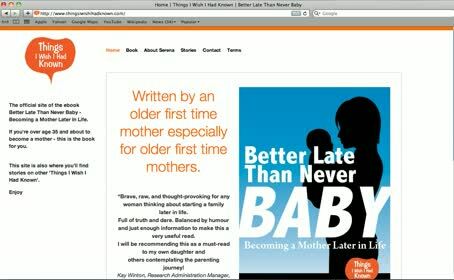 This is the dedicated website for Better Late Than Never Baby, the ebook by Serena Kirby. The book offers a humorous, sensitive and informed account of mature aged motherhood. Publishing her own book on her own terms means the author gets to set the price and keep the proceeds. There has been a lot of interest in this book prelaunch and we’re predicting more great things.